The land of the never ending Sing Sing! Papua New Guinea may be our closest neighbour, but for most Australians it is an unknown land shrouded in mystery and intrigue. A majority of Aussies will never visit our neighbour across the Torres Strait because they haven’t been educated in its amazing beauty and friendly people. And until recently, cruise ships simply did not go there. That is a shame, because I would place it in the top three cruising destinations I have ever visited. The other two are also close to home: the Kimberley and the Solomon Islands. Far from being a land of mystery, New Guinea is more a tropical Garden of Eden with much of it still untouched and unspoilt by mass tourism. The people of New Britain and the many islands dotted throughout the Bismarck Archipelago are very similar to those in Vanuatu and Fiji. As you go ashore you will be greeted by waving, smiling, happy people. You will be led to chairs placed carefully under a giant tree or beneath a veranda of palm leaves. Then the dancing will begin. And oh, what a treat you are about to see. You will be in the company of gentle people, ever attentive, ever caring, ever wanting to share their world with yours. 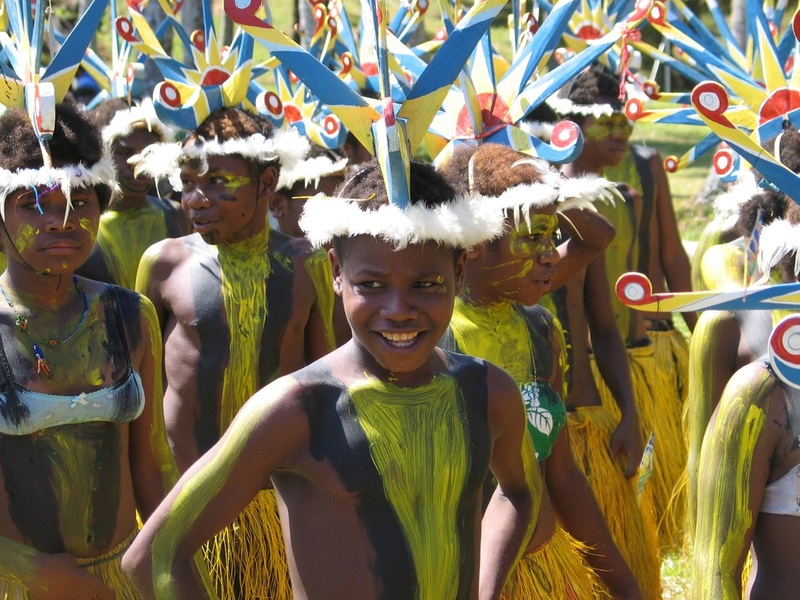 Traditional dancing is the national past time in Papua New Guinea. Mass drums, bamboo xylophones, whistles and cacophony of sound overtake you as the dancing begins. Then comes an amazing performance of waving arms and legs all choreographed into a visually, stunning display. Divine costumes and headwear worn by locals all add to the excitement. The dancers range from the elderly right down to young children who are being educated in the local traditions. They are fully absorbed in dances that tell the story of their village their region and their life. On virtually every island you meet, you will be greeted by traditional dances. The strange thing is, no two dances are the same. The islands may be close together but because they were so isolated in the past and, to some degree, still are isolated, they have managed to develop performances that are unique to each region. 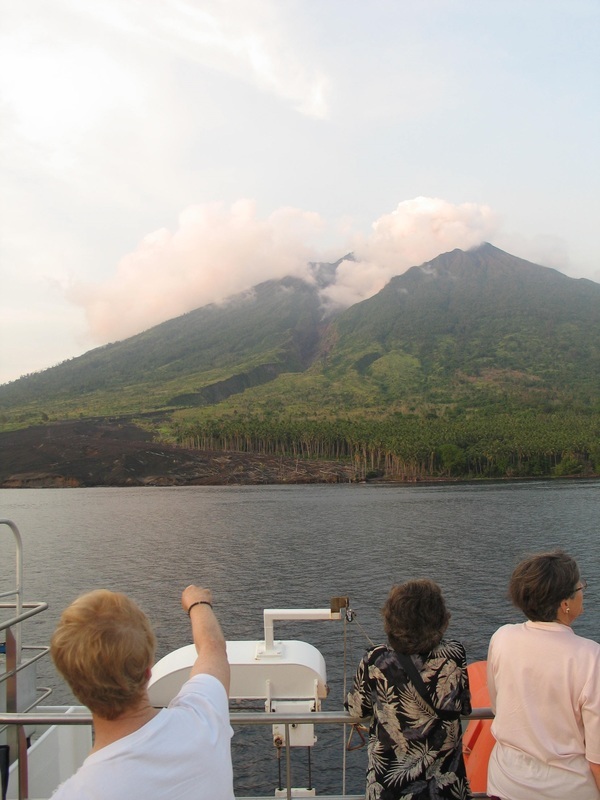 Our cruise began in fascinating Rabaul, always shrouded in fallout from the constantly erupting Mount Tavurvur, rated one of the world’s most dangerous volcanoes. 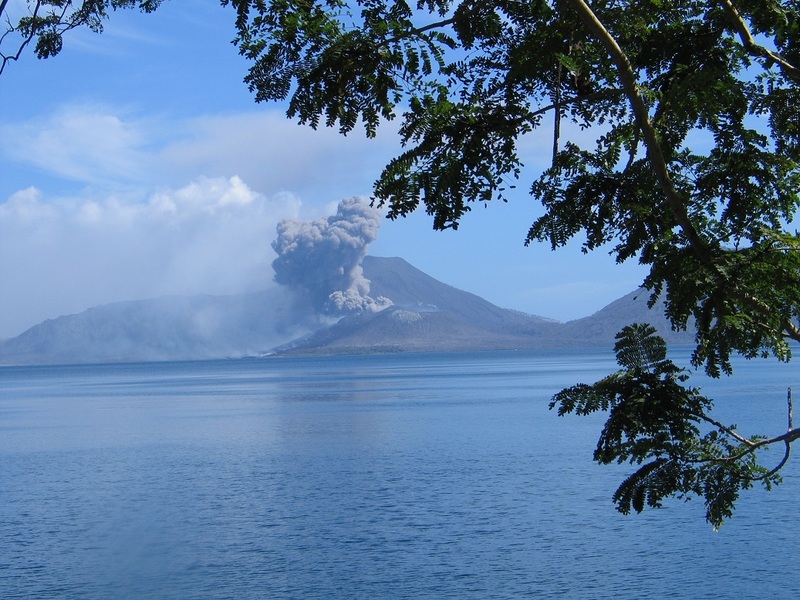 In 1994 it destroyed old Rabaul in a massive explosion and has been playing up ever since. Next day we arrived at remote St Michael's School just off the coast of New Britain and it is here that I fell in love with PNG and its people. They were genuinely excited to see us, to dance with us and to share everything they had. The elaborate head ware had to be seen to be believed. 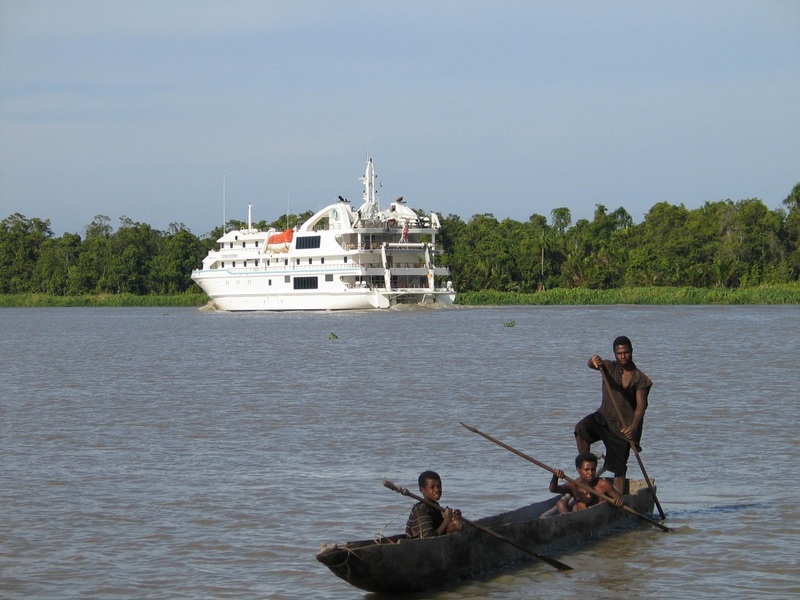 We then sailed across the vivid blue Bismarck Sea to Madang and then up the mighty Sepik River. Coral Discoverer has a shallow draft and this allowed us to travel further up this wild region than any other cruise ship. 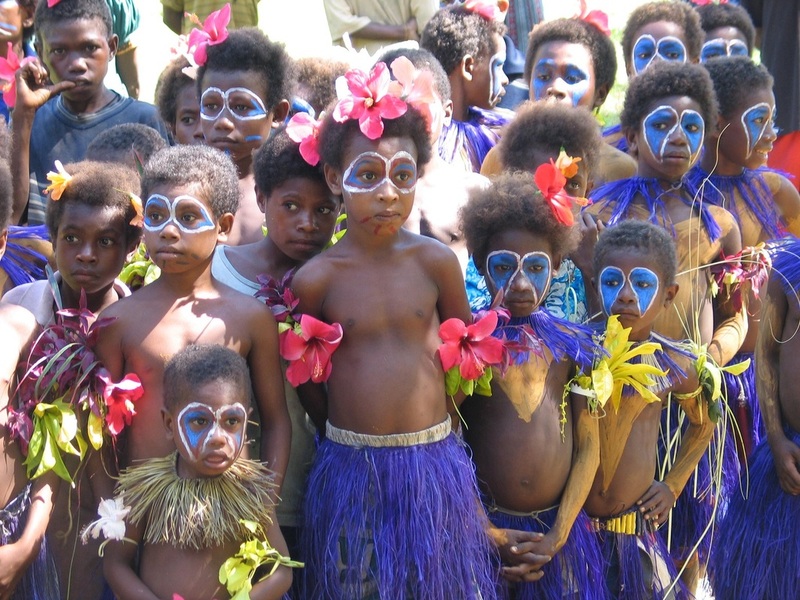 Once again, the people of the Sepik were overwhelmingly friendly towards us. They were just as interested in learning about us as we were about them. I have to admit at being slightly nervous about going ashore in an isolated native village where the people live completely off the land and the river. However, we were met by thousands of smiling people who were really excited about us coming to their village. I could go on and on about PNG, but suffice to say it is one of the greatest unspoilt tourist regions anywhere on earth and the only way to see it properly is on an expedition cruise. Its team of experts is ideal for Australians seeking guidance on this unique type of travel. They have an exciting special available for our readers until January 1 which allows clients to save a hefty 15% on the outstanding 25 night Circle New Guinea cruise aboard Coral Discoverer on October 29, 2017. The saving is up to $7434 for a balcony cabin.